The Security Council today coalesced around a sweeping resolution that endorsed the 14 July agreement on Iran’s nuclear programme, setting out a rigorous monitoring mechanism and timetable for implementation, while paving the way for the lifting of United Nations sanctions against that country. Unanimously adopting resolution 2231 (2015), the 15-nation body endorsed the Joint Comprehensive Plan of Action signed in Vienna by the five permanent members of the Council, plus Germany, the European Union and Iran. The Council, through the 104-page text, including annexes that detailed the sanctions-related provisions and listings, requested the International Atomic Energy Agency to undertake verification and monitoring of Iran’s compliance. It reaffirmed that Iran should cooperate fully with the Agency to resolve all outstanding issues. Upon receipt of a positive report from the Agency, the Council would terminate sanctions set out in resolutions adopted between 2006 and 2015. Furthermore, the Council decided that the resolution’s provisions should, pending confirmation of implementation, expire 10 years after its adoption, and with that, it would remove the Iranian nuclear issue from its agenda. At the same time, the text outlined the process for automatically reinstating the sanctions in the event of non-compliance. Following the adoption, the representative of the United States, whose delegation had submitted the text, said that the agreement cut off Iran’s pathways to fissile material for a nuclear weapon, while ensuring the vigorous inspections and transparency necessary for verification. The accord, said the representative, would reduce the number of Iran’s centrifuges by two thirds and eliminate 98 per cent of its enriched uranium, going from a quantity enough to produce 10 nuclear weapons to a fraction of what was needed for a single nuclear weapon. “Implementation is everything,” she said, stressing that the tasks were far from over and that the resolution included a “snap-back” system triggering reinstatement of the sanctions in the event of non-compliance. The United States would maintain its own sanctions against Iran, which it says supported terrorism, destabilized the region and continued to violate human rights. Iran’s delegate said that the agreement and today’s resolution provided for the termination of sanctions unjustifiably placed on Iran for the exercise of its right to the peaceful use of nuclear energy. Nobody had ever presented any proof indicating that Iran’s programme had been anything but peaceful, he said, expressing hope that the agreement and the resolution would herald a new chapter in the relationship between Iran and the Security Council. Iran was willing, he said, to comply fully with its commitments and it was already committed to its Supreme Leader’s declaration against all weapons of mass destruction, particularly nuclear weapons. The nuclear warheads stockpiled by the Israeli regime, which had worked to sabotage the agreement, was a grave threat to peace and security in the region, which the Council should take necessary action to neutralize. It was ironic that the speaker from the United States, which had invaded two countries in the region, had accused Iran of destabilizing it. Murray McCully, Minister for Foreign Affairs of New Zealand, who presided over today’s session, said in his national capacity that the agreement represented a triumph of diplomacy and cooperation over confrontation and mistrust. That message, he stated, should guide the Council in tackling the extraordinarily difficult challenges in the Middle East — in Syria, Iraq, Yemen and Libya. Also delivering statements were the delegates of China, France, Russian Federation, United Kingdom, Spain, Jordan, Chile, Venezuela, Malaysia, Nigeria, Angola, Lithuania, Chad and Germany. The representative of the European Union Delegation also spoke. The meeting began at 9:05 a.m. and ended at 10:35 a.m. Following the resolution’s adoption, SAMANTHA POWER (United States) said that the basic tenets of the agreement reached in Vienna cut off Iran’s pathways to fissile material for a nuclear weapon, while ensuring the vigorous inspections and transparency necessary to verify that it could not pursue a nuclear weapon. It would reduce the number of Iran’s centrifuges by two thirds and eliminate 98 per cent of its enriched uranium, going from an amount high enough to produce 10 nuclear weapons to a fraction of what was needed for a single nuclear weapon. She went on to hail the essential role of diplomacy and the unity of the Council in the process leading to the agreement. This year, the United Nations marked the seventieth anniversary of its founding. Lessons learned from the negotiations included that it was not enough to agree on global norms; those must be enforced, and the sanctions regime for Iran played an important role in that regard. Any party could have walked away as negotiations were gruelling and the distances were too great to bridge. Citing Iran’s support for terrorism, destabilizing activities in the region and human rights violations, the United States, she said, would maintain its own sanctions, calling on Iran to release unjustly held Americans. The deal would make the world safer and more secure, but it was far from finished. The same rigour that had been needed to reach the agreement should apply to its implementation, which was everything. The resolution included a “snap-back” mechanism that triggered a process to reinstate the sanctions in the event of non-compliance. The deal gave Iran a chance to prove it was seeking a peaceful nuclear programme and a path out of isolation. LIU JIEYI (China) said that, despite ups and downs over the past 10 years of negotiations, parties had finally come to an agreement. Stressing the importance of political commitment, he said the accord had far-reaching significance in that the international community turned a new page based on a win-win spirit. It was important to stay the course in seeking a political solution, which was the only viable way to address difficult issues. The plan of action was a good beginning, but its implementation over the next 10 years was more important, he said, urging all sides to fulfil all provisions of the agreement even though differences might arise along the course of implementation. It was essential to take stock of good practices along the way, he added. FRANÇOIS DELATTRE (France) said the agreement laid the road map for building trust in the peaceful nature of Iran’s nuclear programme and bolstering international peace and security. It proved the success of the double approach of dialogue and sanctions, which France had pursued from the outset. The international community rallied behind that approach and demonstrated a spirit of constructive resolve. The negotiations had paved the way for a period of vigilance and oversight, buttressed by a robust inspection and monitoring system. Iran’s actions in making the agreement succeed would be watched carefully by the international community. The next few weeks would be decisive. VITALY CHURKIN (Russian Federation) said the resolution not only turned a page, but a whole chapter, and he urged all countries to contribute to its successful implementation. By endorsing the agreement unanimously, the Council had provided a basis for a gradual approach to resolution based on reciprocity. A clear and transparent mechanism had been established to remove sanctions on Iran and there were reliable filters to resolve all disagreements arising in the implementation process. He expressed hope that the agreement with Iran would encourage other nations in the region not to take steps that would further destabilize a region wracked by multiple challenges and threats. The invaluable experience gained here must remain undiluted by ideological or geopolitical considerations and used to resolve other international challenges. 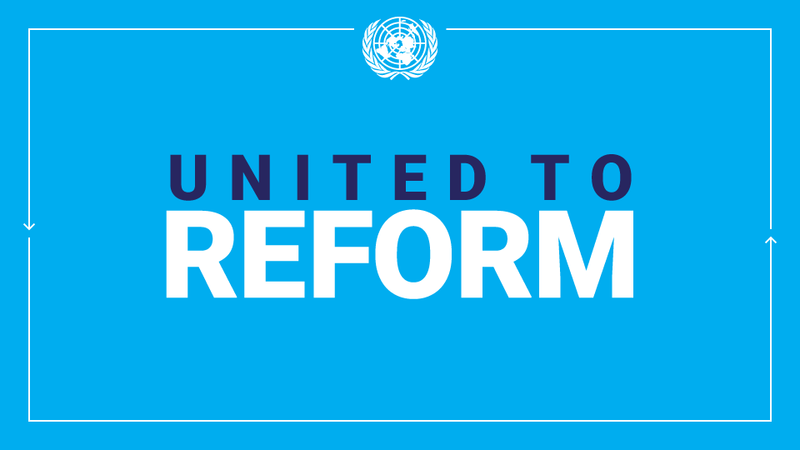 MATTHEW RYCROFT (United Kingdom) welcomed the adoption of the text, endorsing the Joint Comprehensive Plan of Action. That agreement provided a concrete baseline by which to recalibrate the relationship with Iran as the country took on a proper role in bringing stability to the region. Given more than a decade of talks, it was a landmark achievement and a good deal for every party. Iran’s compliance would be verified by a monitoring mechanism and with transparency. Upon implementation of certain measures, Iran would be able to trade more freely and upon full implementation, the country would be treated in the same manner as other non-nuclear-weapon States. The Council maintained its oversight over the issue; it needed a novel working method to do so. With the accord in place, Iran could not develop a nuclear bomb, which made the world a safer place. ROMÁN OYARZUN MARCHESI (Spain) said that focus on dialogue, rather than confrontation, made it possible for the negotiating parties to overcome an insurmountable challenge. The Council, when united, was the world’s most valuable guardian, able to help the international community in meeting future challenges. With a balanced agreement in place, the global community must seize the opportunity to bring it to its optimal conclusion. The implications were even wider; as the accord could help harness efforts to tackle the spectre of terrorism in the region. It would be a source of happiness to his delegation to see the “1737 Committee” disappear. DINA KAWAR (Jordan) said her country had always called for a peaceful diplomatic solution to the Iranian nuclear file and supported all efforts to entrench peace and stability in the region. She expressed hope that the agreement would have positive repercussions on the lives of the people and on preventing an arms race in the region. The International Atomic Energy Agency (IAEA) had an important role in monitoring the implementation of the agreement and the international community needed to extend its full support and cooperation. CRISTIÁN BARROS MELET (Chile) expressed hope that the agreement’s robust verification regime would contribute to the wider non-proliferation regime in the Middle East. The agreement had reiterated the invaluable role of diplomacy and flexibility in resolving even the seemingly most intractable crises. Chile would contribute its utmost to ensuring the full implementation of the agreement and strengthening international peace and security. RAEL DARÍO RAMÍREZ CARREÑO (Venezuela) said he voted in favour of the text, which would give a firm backing to the comprehensive agreement reached on Iran’s nuclear programme. It was a testimony to courage and political will, and proved once again that peaceful dialogue was better than bellicose actions. Iran could pursue its right to peaceful use of nuclear energy towards its energy independence. The accord marked the birth of a new diplomatic relationship between Iran and the other parties to the agreement. It would lift sanctions, which negatively affected the Iranian population. It also could have broader implications, namely for the Israeli-Palestinian issue and the situations in places such as Yemen, Iraq and Syria. The international community must support efforts to create a nuclear-weapon-free zone in the Middle East, a key requirement to the region’s stability. RAMLAN BIN IBRAHIM (Malaysia), while hailing the adoption of the Joint Comprehensive Plan of Action as a positive step, said his country remained convinced that the Nuclear Non-Proliferation Treaty (NPT) regime continued to occupy a role of central importance in efforts to halt the proliferation of nuclear weapons, as well as being an essential foundation for the pursuit of general and complete nuclear disarmament. He called on all nuclear weapon States to reinvigorate efforts to implement their obligations under the disarmament pillar of the NPT regime. KAYODE LARO (Nigeria), congratulating the parties to the agreement, said they had struck a strong victory for multilateral diplomacy and international cooperation. Moving ahead, all parties needed to implement all provisions of the accord in good faith and in the spirit of full transparency. The agreement also provided a clear affirmation of the right of States to the peaceful use of nuclear energy. JULIO HELDER MOURA LUCAS (Angola) said the parties to the agreement deserved praise for their ability to build confidence in peaceful processes to resolve even the most intractable challenges. The negotiating process provided the opportunity to bolster trust among the parties in a way that could have positive repercussions on the other challenges confronting the region, such as the fight against the Islamic State in Iraq and the Levant/Sham (ISIL/ISIS) and the crises in Syria and Yemen. The inauguration of new dynamics in addressing regional challenges would be the wider legacy of the agreement and resolution. NIDA JAKUBONE (Lithuania) said that his delegation had co-sponsored the resolution. It welcomed Iran’s agreement to implement the Additional Protocol to its IAEA Comprehensive Safeguards Agreement, as well as further transparency measures foreseen in the plan of action, which would provide the Agency with powerful tools to implement continuous monitoring and grant it extensive access to Iran’s nuclear sites. It also welcomed the road map agreed by the IAEA and Iran on 14 July, which provided a specific timeframe to clarify past and present outstanding issues by the end of 2015. MAHAMAT ZENE CHERIF (Chad) said that the resolution, including annexes, exceeded 100 pages, representing the complexity of the issue. He praised the courage and wisdom of the negotiators in reaching a solution. His delegation was satisfied with the outcome and supported future efforts to implement it. He was convinced of the virtue of dialogue. The IAEA was expected to monitor compliance, including the road map agreed between it and Iran. That country was entitled to conduct nuclear research for civilian purposes. Chad adhered to the African nuclear-weapon-free zone Treaty. MURRAY MCCULLY, Minister for Foreign Affairs of New Zealand, said the agreement reached in Vienna represented a triumph of diplomacy and cooperation over confrontation and mistrust. It was now crucial to ensure that the agreement was fully and swiftly implemented, and that small missteps and misunderstandings were not allowed to derail the process. The adoption of the resolution gave international legal force to the agreement and extended the obligations it contained across the broader United Nations membership. Today marked an opportunity to change the nature of the relationship between Iran and the international community, he said, stressing that even seemingly intractable issues could be resolved through diplomacy and dialogue. As the Council confronted the extraordinarily difficult challenges in relation to the Middle East peace process, Syria, Iraq, Yemen and Libya, that message should be reflected upon. GHOLAMALI KHOSHROO (Iran) described the resolution as marking a fundamental shift in the Council’s 10-year consideration of Iran’s peaceful nuclear programme. The resolution and the agreement also provided for the termination of Council resolutions that unjustifiably placed sanctions on Iran for its efforts to exercise its rights. Nobody had ever presented any proof indicating that Iran’s programme had been anything but peaceful. The solution arrived at was in the interest of strengthening the regime of nuclear non-proliferation in its entirety, he said, expressing hope that the agreement and the resolution would herald a new chapter in the relationship between Iran and the Council. He said his country was both in a position and willing to comply fully with its commitments because it was already committed to its Supreme Leader’s declaration against all weapons of mass destruction, particularly nuclear weapons. The nuclear warheads stockpiled by the Israeli regime, which had worked to sabotage the agreement, constituted a grave threat to peace and security in the region, and the Council should take necessary action to neutralize that threat. He said that it was ironic that the representative of the United States, which had invaded two countries in the region, had accused Iran of destabilizing it. HERAL BRAUN (Germany) said the Joint Comprehensive Plan of Action reached in Vienna was an important, and possibly historic, step towards ending the decade-long conflict surrounding Iran’s nuclear programme. The agreement reduced the risk of a nuclear arms race as Iran had committed itself to comprehensive technical restrictions and an unprecedented transparency regime. Additionally, it offered ample political opportunities for Iran. Fulfilling the agreement would enable the country to make improvements in civil liberties, human rights and the accommodation of regional security concerns. He hoped that the accord would have a positive effect on the relations between Iran and the European Union, and improve Iran’s regional and international relations. THOMAS MAYR-HARTING, speaking on behalf of the European Union Delegation, said the agreement marked a conclusion to the long-running diplomatic efforts to reach a comprehensive and peaceful solution to the Iranian nuclear issues. It was necessary for all parties to work together to achieve its full implementation. As agreed in Vienna, the Union would endorse the resolution adopted today, as well as the Joint Comprehensive Plan of Action. The Union’s High Representative for Foreign Affairs and Security Policy would also continue her supporting and coordinating role during the entire implementation phase of the action plan.